Question to developers: are you plan to open proper website for Naval Action including all important news, updates and announcements with our forum as well? This may be better way to info about game that current forums only. As you probably know on forums we got already about 5-10 % people who bought game (at least this look like that - correct me if i`m wrong on this) so i think nice looking website with clear and transparent information about patches, updates and other info related to the game would be great. Current main page is out of date and information are old. What do you think? Is this the official website? The best forum is this one ! yes it is. we plan to update it once we start marketing before release and once we finalize the base in game content (as you have seen over the last 1.5 years - we were actively searching for the ideal composition of pvp/pve and conquest. When do you release the ideal composition of the game ? Can we have more informations ? 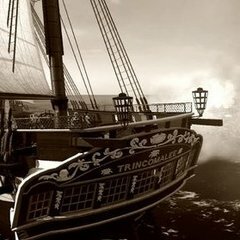 I'd happily write a 3 liner for every Ship currently ingame, to atleast get the Ship line-up up-to-date as it the website is in a pre-Trinco, pre-Santi state. Say, if that would help you and I'll do it. It ain't much, but it would be something.